Typically associated with restaurants, food processing facilities, hotels and other commercial buildings, cockroaches are also a common domestic pest. The German cockroach, in particular, can be found throughout our service area. 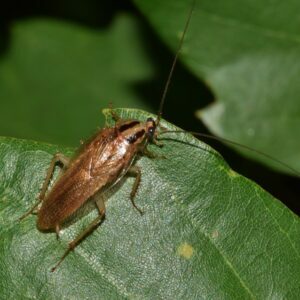 In fact, Nature’s Way has received calls for cockroach pest control in Albany to as far north as Plattsburgh and into western Vermont. German cockroaches are actually the most common cockroach on the entire planet. They are only around a half inch in length and vary in color from tan to almost black. They often hitchhike into our homes by way of a grocery bag, box or a thrift store find, bringing disease and contaminating food sources. Commonly found in bathrooms and kitchens, cockroaches can spread more than 30 different types of bacteria. Cockroaches can make you sick and have been known to trigger allergies and make asthma symptoms worse, especially in children. Although they sometimes appear during the day, cockroaches are primarily nocturnal, and homeowners usually only discover an infestation when they flip on a light in a dark room and see them scatter. They love drains and pipes, so keep your bathrooms and kitchen clean with ammonia. Make sure you keep your floors and counters crumb-free, vacuum your home regularly, and take out the garbage frequently. You may want to periodically check under appliances and sinks for cockroaches, as well. Because German Cockroaches are relatively small, they prefer confined spaces, often hiding in small crevices and cracks, evading detection. However, our seasoned cockroach exterminators have a trained eye for spotting their hideaways. Another obstacle to do-it-yourself cockroach pest control is their adaptive ability. For instance, there is a strain of German cockroach that refuses to eat sweetened baits. 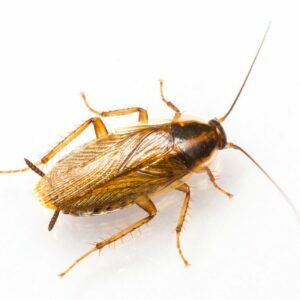 If you suspect you have a cockroach infestation or would like a free inspection, contact Nature’s Way at (518) 745-5958. We provide cockroach pest control in Albany, Saratoga, Queensbury and as far north as Plattsburgh NY. For service in Vermont, call (802) 855-2978.